Buying and selling used homeschool textbooks is a great way to make homeschooling affordable. Here are some tips for finding used homeschooling books. 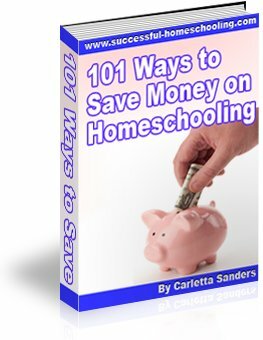 Here are some tips for selling used homeschooling curriculum. The following are tips for purchasing used homeschool books. Make a list of your needs specific needs for each child. Include teacher's manuals, workbooks, textbooks, answer keys, flashcards and manipulatives. Refer to this list often to make sure you don't leave anything out. Stick to your list to avoid buying unnecessary items just because they've been discounted. Carefully review the titles, grade levels and editions of the materials you plan to purchase to make sure you are buying the correct product. Consider purchasing used homeschooling curriculum as a set in order to make sure the materials will coordinate. Check the retail price of the items you plan to purchase to make sure you are receving a good deal. Expect to pay between 50-80% for popular items that are in good condition. Be careful not to get carried away and over bid for items purchased in an auction. Respect the seller by never making a lowball offer. Be familiar with the seller's terms of payment, and deliver payment in the agreed upon manner. Some sellers will accept payment by cashier's check, money order or credit card. Other sellers prefer payment through PayPal. Paypal offers a free account that you can use to make online purchases. This account allows you to make secure credit card payments without revealing your account number to the seller. You can set up an account within minutes by visiting PayPal's website. Know when payment is expected, and when/how the materials will be shipped. Some sellers will provide free shipping under certain conditions. You may want to pay additional fees for having items shipped quickly or having the items insured. Make sure you include these fees when determining a purchase price for the materials. View similar materials before purchasing since it may not be possible to obtain a refund. You may be able to preview materials at a local bookstore, a home school curriculum fair or from a homeschool friend. Ask specific questions about the books to make sure they are in good condition. Find out if the seller owns pets or smokes. Ask if there are any missing, bent or torn pages. If the books have been written in, find out what percentage of the pages contain writing and whether or not the writing is eraseable. Ask the seller to submit photos of the materials, if possible, and find out if there is a return policy. If you are purchasing used homeschool textbooks through an online service that allows you to leave feedback about the seller, make sure you leave comments about your experience. Good feedback helps sellers who provide good service. Negative feedback will help prevent other buyers from having poor experiences.